View from one of the trailheads from Dawson Saddle. Both lead to the Dawson Saddle Trail and are about the same distance. Stats: Trailhead to Throop Peak: 2.1 miles, 1235′ gain, Throop Peak to Trailhead: 2.1 miles, 1235′ loss. Round trip: 4.2 miles, 1235′ of gain and loss. 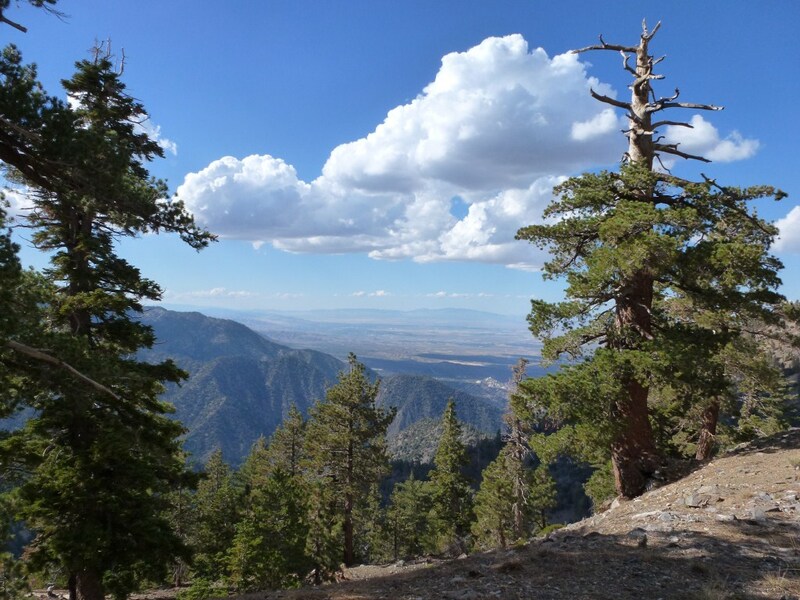 Route description with trail segment pages: Follow the Dawson Saddle Trail to the junction that forms a T-intersection with the Pacific Crest Trail. 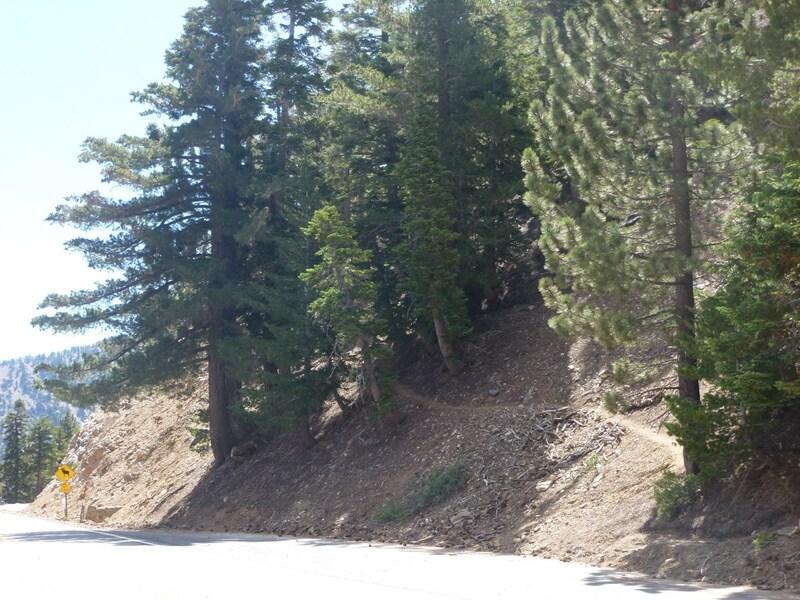 At the PCT, turn right and look for the Throop Peak Use Trail and follow that to the summit. I have the route all figured out. Karl helped me get the best route, the one he’d take. See you tomorrow! Hmmm I’m thinking of going. Karl will be out of town. I have no hiking buddy for two Saturdays. But I’m a little apprehensive because I’m not sure I can find the trail head without my driver. I’m sure I’d recognize it when I got there. But getting there is the part I’m not sure of. I need a map so I can visualize the path to the trail head. Can you help me out there? Val, next to the bold text that says trailhead at the top is blue text that says Dawson Saddle. Click on that and it will take you to the map. If the vicinity map shown on that page doesn’t provide enough context, click on the blue Dawson Saddle text next to location and that will take you to Google Maps where you can zoom out as much as necessary. Also, there is the green building near the trailhead with the Dawson Saddle sign on it to help you know you’re in the right place–I need to get a picture of that when we are there Saturday so I can make directions clearer here.